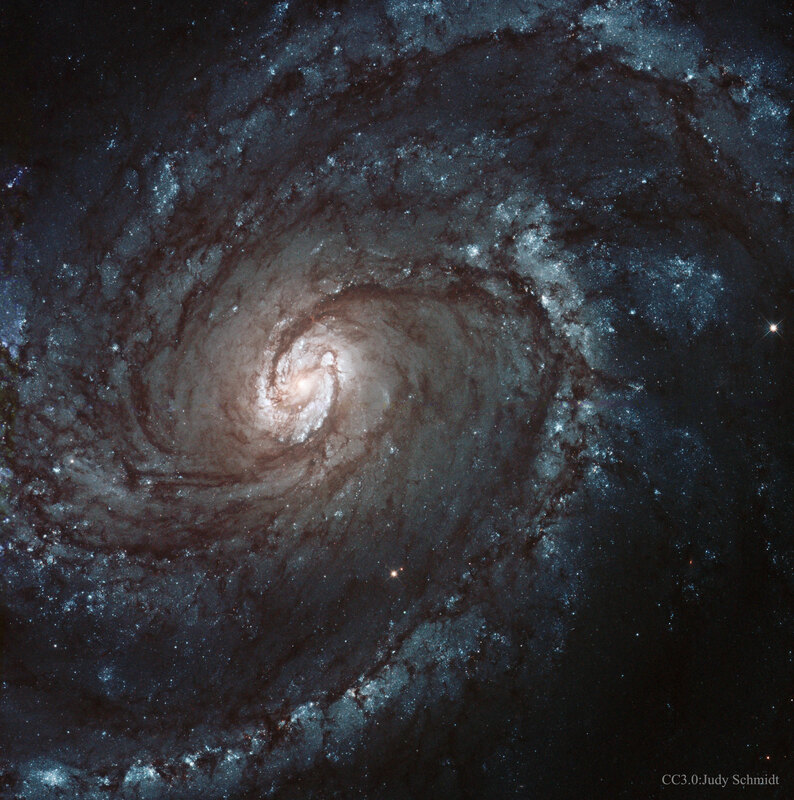 Explanation: Majestic on a truly cosmic scale, M100 is appropriately known as a grand design spiral galaxy. It is a large galaxy of over 100 billion stars with well-defined spiral arms that is similar to our own Milky Way Galaxy. One of the brightest members of the Virgo Cluster of galaxies, M100 (alias NGC 4321) is 56 million light-years distant toward the constellation of Berenice's Hair (Coma Berenices). This Hubble Space Telescope image of M100 was made in 2009 and reveals bright blue star clusters and intricate winding dust lanes which are hallmarks of this class of galaxies. Studies of variable stars in M100 have played an important role in determining the size and age of the Universe. If you know exactly where to look, you can find a small spot that is a light echo from a bright supernova that was recorded a few years before the image was taken.